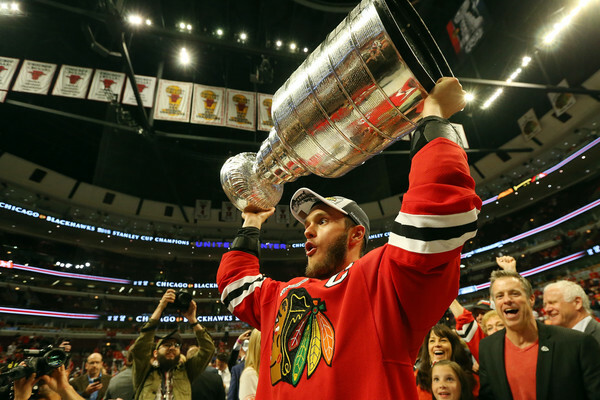 How’d Jonathan Toews spend his day with the Stanley Cup? Playing street hockey with local kids, of course. What a wonderful distraction from the other issue the team is dealing with right now! Kids were wearing Toews out. Rockin’ the sweat stains. It’s amazing how much of a polar opposite the 2 guys are. And to think, Toews is the one that had an alcohol related citation first. With all the recent Kane “stuff” gota love this photo! Looks good on you Johnny! Very cool. Way to go Tazer. Imagine how the Captain feels about the events of the past 9 days. I’m guessing pretty well disgusted. And I’m guessing we will see official distance put between Toews and Kane going forward. They have always been the magical tandem of the marketing gods. That all has ended completely. 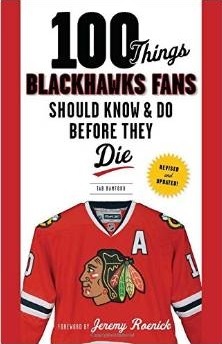 Which ironically may be good news for somebody like Duncan Keith or Nik Hjalmarsson or somebody else in terms of becoming a critical face of the franchise and a marketing cash cow. where are the Kane/Cup photos??? What a class act! It is well known that all sports owners would be thrilled to have a Toews being the face of their franchise. It is shocking that Toews and Kane, both came up the same year as rookies, both received the same contracts, but are light years apart in their conduct off the ice. I keep thinking about both goals in Game 6 that Kane was involved in. If he did not play, would we have won the Cup? We all know the impact if he is no longer around. It is still very hard to take in right now. I hear ya Original6Hawkey… It’s a hard thing to take in for sure.. He is electrifying with the puck and both a big playmaker and goal scorer… Hard to imagine the team without him. Kind of makes you wonder how Kane is holding up. Reports say the private Cup celebration with family and friends was “more like a funeral”.